Yesterday, I met someone who needed a charger for his iPhone 5 because he was headed to a concert and, unfortunately, his ticket was stored on the phone. He couldn’t reach any friends, either, because said phone was dead. He may not have to worry about that being a problem in the future. AT&T and New York City announced on Tuesday that the city will soon be home to 25 AT&T Street Charge stations, which will allow anyone within the city’s five boroughs to charge phones, tablets and other devices on the street for free. Two units are already live in Forte Greene Park, and several will appear throughout the city this week, including on Governor’s Island, Pier 1 at Riverside Park, Union Square and Brooklyn Bridge Park Pier I.
AT&T created a website to show where Street Charge locations will be available, so you can visit http://www.att.com/attstreetcharge for more information. 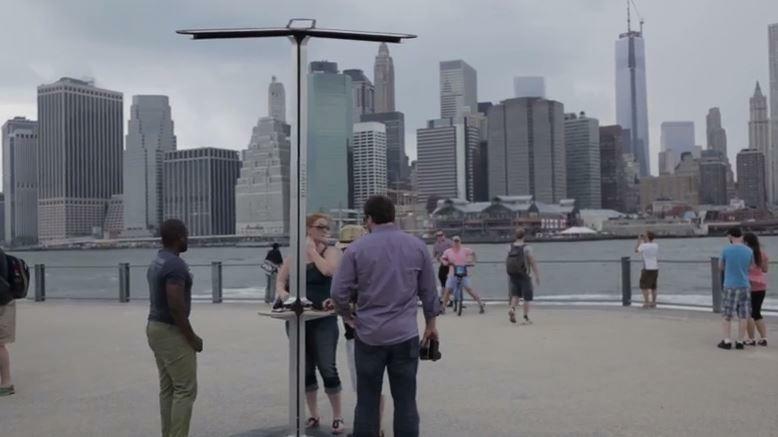 The solar-powered stations were created by Goal Zero and a design firm based in Brooklyn called Pensa. All stations are expected to be live by the end of the summer. June 18, 2013 (Brooklyn, NY) – As part of an ongoing effort to keep New Yorkers connected, AT&T and Mayor Michael Bloomberg today unveiled AT&T Street Charge. This pilot initiative provides free solar mobile charging stations in locations across all five boroughs where the public can charge their phones, tablets and other mobile devices. AT&T Street Charge is a direct outgrowth of Superstorm Sandy when AT&T powered the City’s distribution centers with commercial generators and pop-up cellular service. New Yorkers who had lost power for days or longer flocked to the centers seeking a charge and a way to communicate to the outside world. 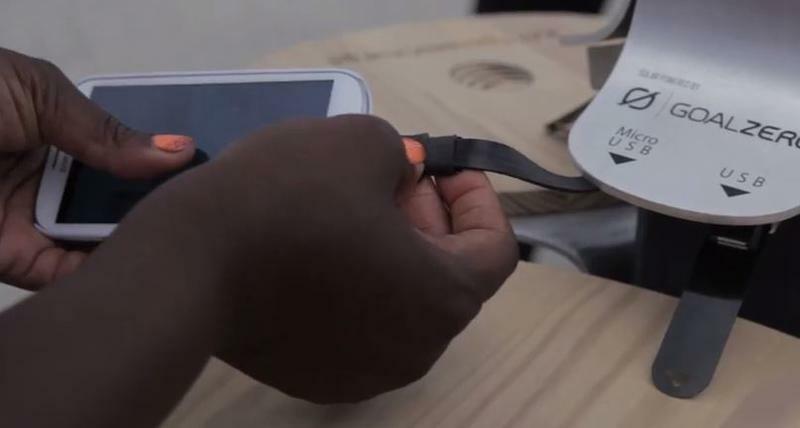 AT&T teamed up with solar technology company Goal Zero and Brooklyn-based design firm Pensa to develop the initiative and bring it to local residents. Between now and the end of summer, AT&T will deploy approximately 25 AT&T Street Charge solar mobile charging units across the five boroughs. Along with the two solar mobile charging units now live at Fort Greene Park, charging units are also available this week at Brooklyn Bridge Park’s Pier I, Governor’s Island, and Pier 1 at Riverside Park and Union Square Park. “We are always looking for new and meaningful ways to improve the daily lives of New Yorkers through greater accessibility to mobile technology,” said Marissa Shorenstein, New York State President, AT&T. “Two years ago, we debuted free Wi-Fi in 26 locations across New York City Parks and last year became one of the first major carriers to offer underground cellular service on 36 subway platforms. Solar mobile charging is a natural next step in AT&T’s efforts to provide innovative services for New Yorkers that empower them to lead more sustainable lives. The public can learn where to find AT&T Street Charge by visiting www.att.com/attstreetcharge and on Twitter @attnyc #attstreetcharge. 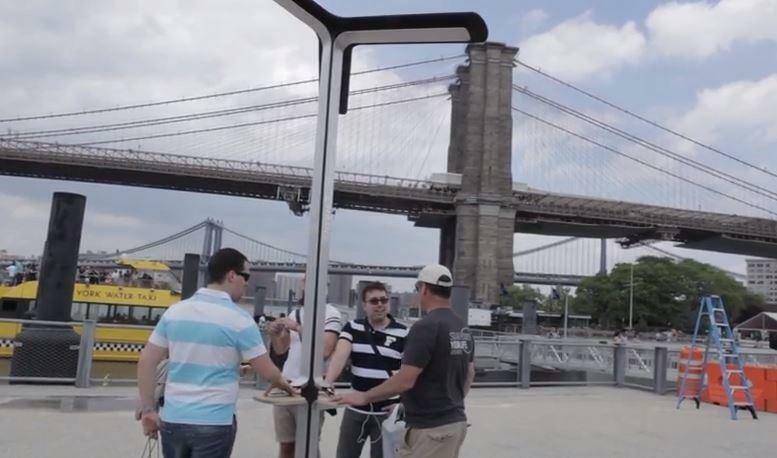 The solar powered mobile charging stations complement Wi-Fi in the Parks, an ongoing joint initiative between AT&T, the City of New York and the New York Parks Department offering free Wi-Fi access to New Yorkers – regardless of provider. Today marks the launch of two additional Wi-Fi enabled park sites, Brooklyn Bridge Park’s Pier 5 and Foley Square. As of today, 28 New York City parks locations across the five boroughs now have free AT&T Wi-Fi as part of this initiative. The solar mobile charging units work day or night, in sun or shade. During the day, three monocrystaline solar panels collect the sun’s energy to charge up powerful internal batteries. 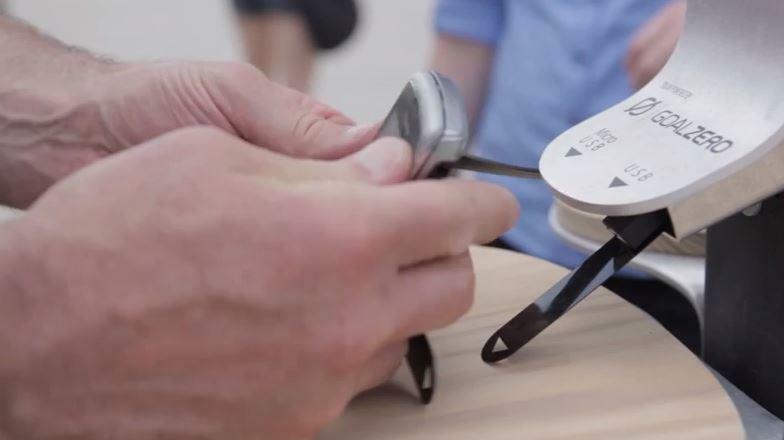 This enables AT&T Street Charge to power up phones, tablets, and other devices quickly – even when the sun isn’t shining. Developing sustainable solutions has long been a priority for AT&T. The company works with a variety of partners to engineer innovative answers to help address environmental and social challenges and this year CR Magazine named AT&T the top corporate citizen in America.